Xi wangmu, the famous Chinese divinity, is generally rendered in English as “Queen Mother of the West.” This is misleading for two reasons. First, “Queen Mother” in normal English refers to the mother of a king, and Xi wangmu’s name is usually not understood in that manner. More importantly, the term wang in this context probably does not carry its basic meaning of “king, ruler. “Wangmu is a cultic term referring specifically to the powerful spirit of a deceased paternal grandmother. So Xi wangmu probably means “Spirit-Mother of the West.” This paper discusses occurrences of wang as “spirit” in ancient texts, and concludes with a consideration of some etymological reasons as to why wang is sometimes used in this less common sense. At Suide in Shaanxi, a sheng-crowned Xi Wangmu receives leafy fronds from human and owl-headed votaries, while hares joyously pound exilir in a mortar (below). 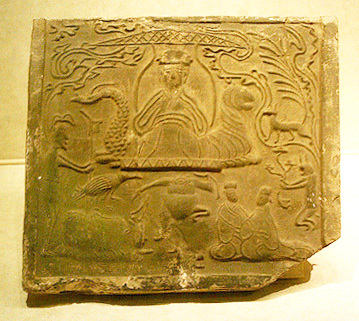 The magical fox, hare, frog, crow, and humans attend her in a tomb tile at Xinfan, Sichuan. The tomb art of this province shows the goddess of transcendence seated in majesty on a dragon and tiger throne. [Liu, 40-3] This magical pair goes back to the Banpo neolithic, circa 5000 BCE, where they flank a burial at Xishuipo, Henan. 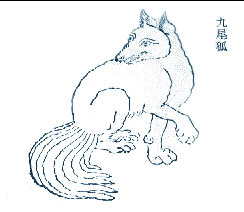 [Rawson, 244] Tiger and dragon represented yin and yang before the familiar Tai Ji symbol came into use during the middle ages. The Western Grandmother presides at the summit of the intricate bronze “divine trees” that are unique to Sichuan. Jade Maidens appear as long-sleeved dancers in the shamanic Songs of Chu and some Han poems. 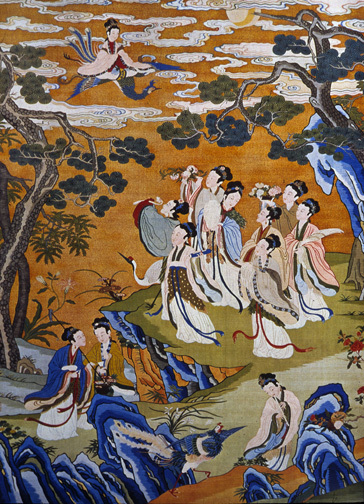 The Shuo wen jie zi defines them as “invocators [zhu] …women who can perform services to the shapeless and make the spirits come down by dancing.” [Rawson, 427] Centuries later, a Qing dynasty painting shows a woman dancing before Xi Wang Mu and her court, moving vigorously and whirling her long sleeves. [Schipper, 2000: 36] Chinese art is full of these ecstatic dancing women. Change was in the air. Around the same time, the Taiping Jing(Scripture of Great Peace) described “a world where all would be equal.” As Kristofer Schipper observes, “a similar hope drove the masses in search of the great mother goddess.” [Schipper: 2000, 40] Their movement was put down within the year, but the dynasty fell soon afterward. From the Han dynasty forward, the image of Xi Wangmu underwent marked changes. [Lullo, 259] Courtly writers tried to tame and civilize the shamanic goddess. Her wild hair and tiger features receded, and were replaced by a lady in aristocratic robes, jeweled headdresses, and courtly ways. Her mythology also shifted as new Taoist schools arose. She remains the main goddess in the oldest Taoist encyclopedia (Wu Shang Bi Yao). But some authors begin to subordinate her to great men: the goddess offers “tribute” to emperor Yu, or attends the court of Lao Zi. [Cahill, 34, 45, 121-2] They displace her with new Celestial Kings, Imperial Lords, and heavenly bureaucracies—but never entirely. (In time, Taoism and Buddhism found an equilibrium in China, and mixed so that borders between the two eroded.) But cultural shifts never succeeded in subjugating the goddess. Others portrayed her as young and seductive. [Lullo, 276] Worse, a few misogynists disparaged the goddess. The fourth century Yü Fang Bi Jue complained about her husbandless state and invented sexual slurs. It claimed that she achieved longevity by sexually vampirizing innumerable men and even preying upon boys to build up her yin essence. But the vigor of folk tradition overcame such revisionist slurs—with an important exception. The ancient, shamanic shapeshifter side of Xi Wangmu, and her crone aspect, were pushed aside. Chinese folklore is full of tiger-women: Old Granny Autumn Tiger, Old Tiger Auntie (or Mother), Autumn Barbarian Auntie. They retain shamanic attributes, but in modern accounts they are demonized (and slain) as devouring witches. Two vulnerable groups, old women and indigenous people, become targets. [ter Harrm, 55-76] Yet the association of Tiger and Autumn and Granny goes back to ancient attributes of Xi Wangmu that are originally divine. Schist statuette of Mut, mother, Late Period,Dynasty XXVI, c. 664-525 BC often interpreted as representing one of the earliest mother goddesses of Egypt. Photo: Wikimedia Commons. Mut, which meant mother in the ancient Egyptian language, was an ancient Egyptian Some of Mut’s many titles included World-Mother, Eye of Ra, Queen of the Goddesses, Lady of Heaven, Mother of the Gods, and She Who Gives Birth, But Was Herself Not Born of Any. The authority of Thebes waned later and Amun was assimilated into Ra. Mut, the doting mother, was assimilated into Hathor, the cow-goddess and mother of Horus who had become identified as Ra’s wife. Subsequently, when Ra assimilated Atum, the Ennead was absorbed as well, and so Mut-Hathor became identified as Isis (either as Isis-Hathor or Mut-Isis-Nekhbet), the most important of the females in the Ennead (the nine), and the patron of the queen. The Ennead proved to be a much more successful identity and the compound triad of Mut, Hathor, and Isis, became known as Isis alone—a cult that endured into the 7th century A.D. and spread to Greece, Rome, and Britain. mother goddess with multiple aspects that changed over the thousands of years of the culture. Alternative spellings are Maut and Mout. She was considered a primal deity, associated with the waters from which everything was born through parthenogenesis. She also was depicted as a woman with the crowns of Egypt upon her head. The rulers of Egypt each supported her worship in their own way to emphasize their own authority and right to rule through an association with Mut. Mut was a title of the primordial waters of the cosmos, Naunet, in the Ogdoad cosmogony during what is called the Old Kingdom, the third through sixth dynasties, dated between 2,686 to 2,134 B.C. However, the distinction between motherhood and cosmic water later diversified and lead to the separation of these identities, and Mut gained aspects of a creator goddess, since she was the mother from which the cosmos emerged.The hieroglyph for Mut’s name, and for mother itself, was that of a white vulture, which the Egyptians believed were very maternal creatures. Indeed, since Egyptian white vultures have no significant differing markings between female and male of the species, being without sexual dimorphism, the Egyptians believed they were all females, who conceived their offspring by the wind herself, another parthenogenic concept. Much later new myths held that since Mut had no parents, but was created from nothing; consequently, she could not have children and so adopted one instead. [Note: The Eye of Ra, crescent moon symbolism and birth or adoption of moon deity as related motifs to the Queen Mother of the West, may be significant for provenance of related creation myths of the birth of Amaterasu. From 5500 to 2750 BC the Cucuteni-Trypillian culture flourished in the region of modern-day Romania, Moldova, and southwestern Ukraine, leaving behind ruins of settlements of up to 15,000 residents who practiced agriculture, domesticated livestock, and many ceramic remains of pottery and clay figurines. Some of these figurines appear to represent the mother goddess. 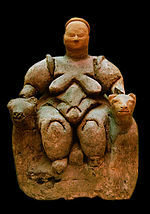 Çatalhöyük is perhaps best known for the idea of the mother goddess. But our work more recently has tended to show that in fact there is very little evidence of a mother goddess and very little evidence of some sort of female-based matriarchy. findings point to ties between Çatalhöyük, Hittites and other ancient civilizations of Anatolia, since bulls and strong women icons in Çatalhöyük also carry great symbolic importance in Hittite culture. Before the Göbeklitepe excavations it was widely believed that the area stretching from east Mediterranean Lebanon to Jordan experienced an agricultural revolution, said Hodder. Yet, the Göbeklitepe excavations tore this argument to shreds. Hodder said the agricultural revolution began much earlier in southeastern Anatolia, and recent findings show that the transition to an agricultural society began in more than just one place. So what is the origin of all the Mother Earth goddess figures then? Does it originate out of the Egyptian deity Isis, later spread by the mystery religion and the cult of Isis? Or from the Thracian-Greek grain goddess Demeter/Artemis (of Tauropoulos) ? In the Aegean, Anatolian, and ancient Near Eastern culture zones, a mother goddess was worshipped in the forms of Cybele (revered in Rome as Magna Mater, the ‘Great Mother’), of Gaia, and of Rhea. Gaia is a primordial deity in the Ancient Greek pantheon and considered a Mother Goddess or Great Goddess. The Olympian goddesses of classical Greece had many characters with mother goddess attributes, including Hera and Demeter. The Minoan goddess represented in seals and other remains many of whose attributes were later also absorbed by Artemis, seems to have been a mother goddess type, for in some representations she suckles the animals that she holds. The archaic local goddess worshiped at Ephesus, whose cult statue was adorned with necklaces and stomachers hung with rounded protuberances who was later also identified by Hellenes with Artemis, was probably also a mother goddess. The Anna Perenna Festival of the Greeks and Romans for the New Year, around March 15, near the Vernal Equinox, may have been a mother goddess festival. Since the Sun is considered the source of life and food, this festival was also equated with the Mother Goddess. In the 1st century BC, Tacitus recorded rites amongst the Germanic tribes focused on the goddess Nerthus, whom he calls Terra Mater, ‘Mother Earth’. Prominent in these rites was the procession of the goddess in a wheeled vehicle through the countryside. Among the seven or eight tribes said to worship her, Tacitus lists theAnglii and the Longobardi. In Hinduism, Durga represents the empowering and protective nature of motherhood. From her forehead sprang Kali, who defeated Durga’s enemy, Mahishasura. The divine Mother, Devi Adi parashakti, manifests herself in various forms, representing the universal creative force. She also gives rise to Maya (the illusory world) and to prakriti, the force that galvanizes the divine ground of existence into self-projection as the cosmos. The Earth itself is manifested by Parvati, Durga’s previous incarnation. Hindu worship of the divine Mother can be traced back to early Vedic culture and Mittanian empire. The form of Hinduism known as Shaktism is strongly associated with Vedanta, Samkhya, and Tantra Hindu philosophies and is ultimately monist. The feminine energy, Shakti, is considered to be the motive force behind all action and existence in the phenomenal cosmos. The cosmos itself is Shiva, the unchanging, infinite, immanent, and transcendent reality that is the Divine Ground of all being, the “world soul”. Masculine potential is actualized by feminine dynamism, embodied in multitudinous goddesses who are ultimately reconciled in one. Mother Maya, Shakti, herself, can free the individual from demons of ego, ignorance, and desire that bind the soul in maya (illusion). Phra Mae Thorani is recognized as the Goddess of the earth in Burma, Cambodia, Laos, Thailand and other Southeast Asian countries. Only in Egyptian Mythology is the reverse true – Geb is the Earth Father while Nut is the Sky Mother. Gaia‘s equivalent in the Roman mythology was Terra Mater or Tellus Mater, sometimes worshiped in association with Demeter‘s Roman equivalent, Ceres, goddess of grain, agriculture and fertility, and mothering. Venus (Greek Aphrodite‘s equivalent), was mother of the Trojan Aeneas and ancestor of Romulus, Rome’s mythical founder. In effect, she was the mother of Rome itself, and various Romans, including Julius Caesar, claimed her favour. In this capacity she was given cult as Venus Genetrix (Ancestor Venus). 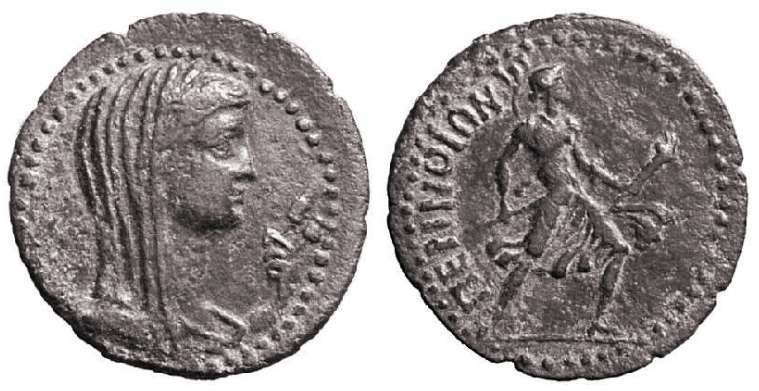 She was eventually included among the many manifestations of a syncretised Magna Dea (Great Goddess), who could be manifested as any goddess at the head of a pantheon, such asJuno or Minerva, or a goddess worshipped monotheistically. Yer Tanrı is the mother of Umai, also known as Ymai or Mai, the mother goddess of the Turkic Siberians. She is depicted as having sixty golden tresses, that resemble the rays of the sun. She is thought to have once been identical with Ot of the Mongols. The Irish goddess Anu, sometimes known as Danu, has an impact as a mother goddess, judging from the Dá Chích Anann near Killarney, County Kerry. Irish literature names the last and most favored generation of deities as “the people of Danu” (Tuatha De Danann). The Welsh have a similar figure called Dôn who is often equated with Danu and identified as a mother goddess. Sources for this character date from the Christian period however so she is referred to simply as a mother of heroes in the Mabinogion. The character’s (assumed) origins as a goddess are obscured. The Celts of Gaul worshipped a goddess known as Dea Matrona (“divine mother goddess”) who was associated with the Marne River. Similar figures known as the Matres (Latin for “mothers”) are found on altars in Celtic as well as Germanic areas of Europe. Reputed as the Ridge of Asia, the Kunlun Mountains originate at the Pamir Plateau and snake eastwards across the heart of the Asian continent. Ranging in altitude an average of 5,500 meters, the mountain range runs 1,800 kilometers through the Xinjiang Ugyur Autonomous Region and extends more than 1,200 kilometers into Qinghai Province. Jade ritual artifacts unearthed from at the Lajiacun Ruins in southern Minhe County, Qinghai. Jade carving here dates back to the Neolithic Period. The Kunlun Mountains (simplified Chinese: 昆仑山; traditional Chinese: 崑崙山; pinyin: Kūnlún Shān; Mongolian: Хөндлөн Уулс) is one of the longest mountain chains in Asia, extending more than 3,000 km. From the Pamirs of Tajikistan, it runs east along the border between Xinjiang and Tibet autonomous regions to the Sino-Tibetan ranges in Qinghai province. It stretches along the southern edge of what is now called the Tarim Basin, the infamous Takla Makan or “sand-buried houses” desert, and the Gobi Desert. A number of important rivers flow from it including the Karakash River (‘Black Jade River’) and the Yurungkash River (‘White Jade River’), which flow through the Khotan Oasis into the Taklamakan Desert. Altyn-Tagh or Altun Range is one of the chief northern ranges of the Kunlun. Nan Shan or its eastern extension Qilian is another main northern range of the Kunlun. In the south main extension is the Min Shan. Bayan Har Mountains, a southern branch of the Kunlun Mountains, forms the watershed between the catchment basins of China’s two longest rivers, the Yangtze River and the Huang He. 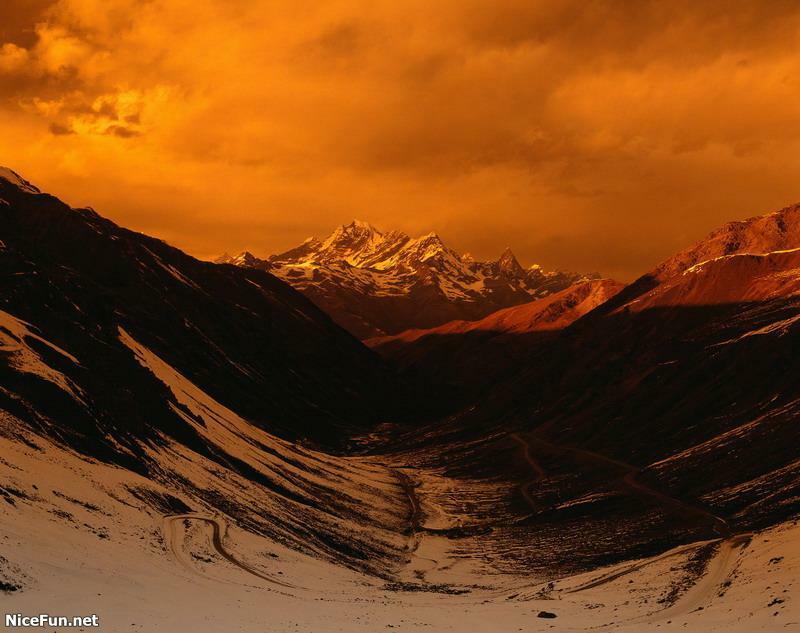 The highest mountain of the Kunlun Shan is the Kunlun Goddess (7,167 m) in the Keriya area. The Arka Tagh (Arch Mountain) is in the center of the Kunlun Shan; its highest point is Ulugh Muztagh. Some authorities claim that the Kunlun extends north westwards as far as Kongur Tagh (7,649 m) and the famous Muztagh Ata (7,546 m). But these mountains are physically much more closely linked to the Pamir group (ancient Mount Imeon). Since ancient times, the magnificent Kunlun Mountains in northwestern China has remained a famous cradle of jade. 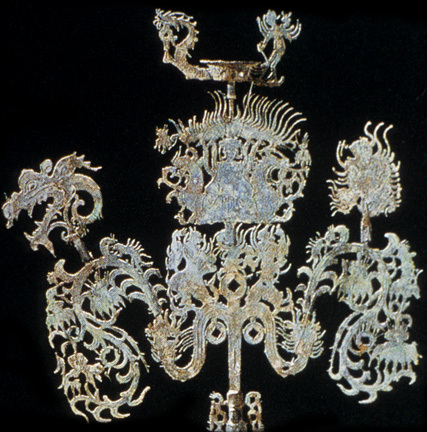 At the Beijing 2008 Olympics, Kunlun jade added Chinese elegance to the Olympic medals.